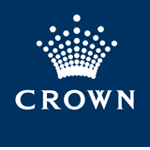 Chaplains Without Borders has been providing chaplaincy support at Crown for staff and customers since 2007. Our Chaplaincy uses new models for participation in spiritual life, and works with those who may have gaming issues, in conjunction with established Crown support service initiatives. For example, Father James Grant speaks at Gambling Awareness Week at Crown Casino. The service is free – appointments can be made by calling 1800 456 228.